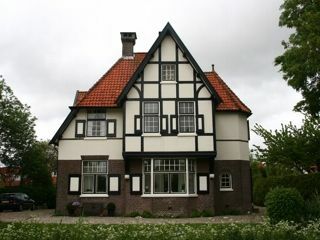 Pension in a beautiful former mayor's house on the water in the beautiful town of Harlingen on the Wadden Sea. Quietly situated near the center. Luxury spacious rooms, fully equipped. Douma State Pension is within walking distance of downtown, ports, railway stations and ferry services to the islands. Parking on private property. Luxurious large rooms with comfortable beds, double sink, TV, hairdryer, clock radio, electric kettle for making coffee, tea, soup (present), etc. Luxury bathroom with bath, shower and toilet and a separate toilet on the floor. Price 60 euro double room with balcony and 64 euros. Single 38 euros. Prices are per night per room including breakfast, excluding city tax 0,50 euro pp / pn. Free parking on private property.